What do an aviator, a steam punk, a metal smith, and a trendsetter have in common? And no, they didn’t all get detention on a Saturday morning… But, if you guessed that they all would wear a pair of these Gold Aviator Goggles, then you were right on the money! 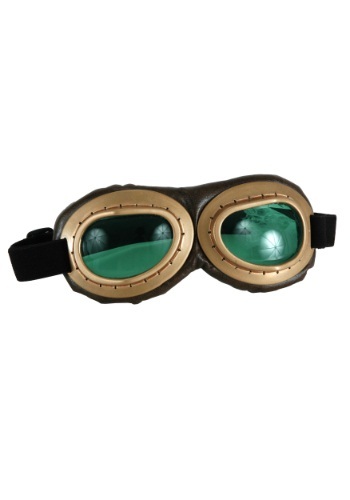 These fashionable goggles are sure to complete any outfit of your choice! The frames are a sturdy, molded gold plastic, with matching gold thread surrounding the eye catching green lenses. In addition to their catchy style, these are goggles are fitted with comfortable padding, for the maximum level of comfort. An adjustable elastic strap secures these goggles, so you have an unlimited range of motion! So, grab a pair of these goggles and transform into Charles Lindbergh, Amelia Earhart, or even create your own character, not even the sky is the limit!